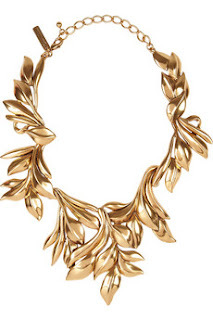 The statement of gold and my love for Oscar De La Renta has made me appreciate this piece of sculptured, wearable art. I'm sure I would glisten in gold wearing this piece at the next big event whilst others went green with envy... but for now it's all love and GOLD! Awesome post.Thanks For share this post with us.Most women appear to wear jewelries with bound significance. Bracelets don't seem to be AN exception. On the contrary. One form String Bracelet of bracelet renowned and far appreciated today is that the charm bracelet. Besides the road, the bracelet is adorned with completely different pendants or trinkets.